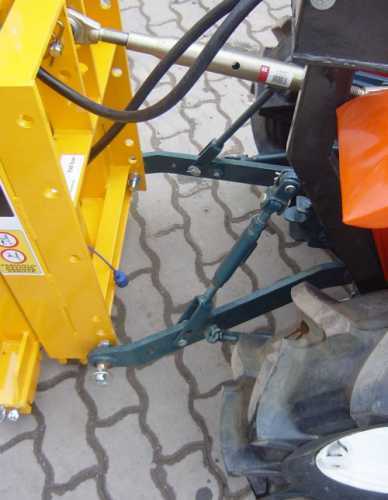 2.920,00 EUR 19 % VAT incl. The payload is 1000 kg. 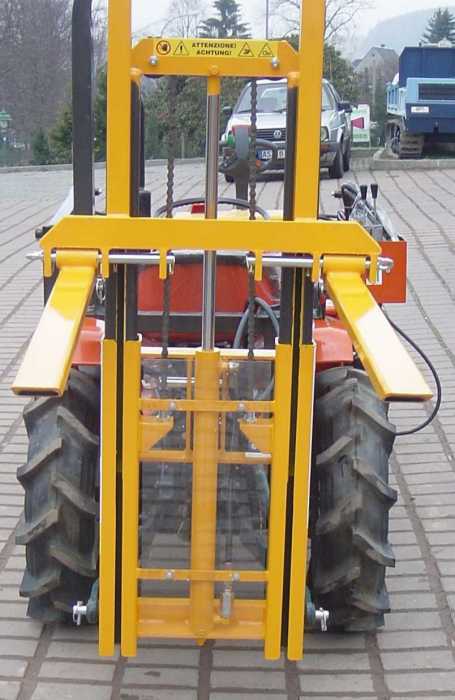 The weight of the rear forklift is 320 kg. The max. 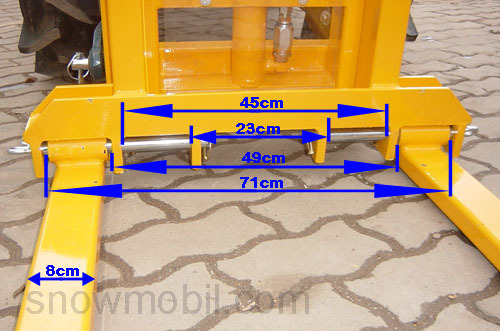 Lifting height is 230 cm. 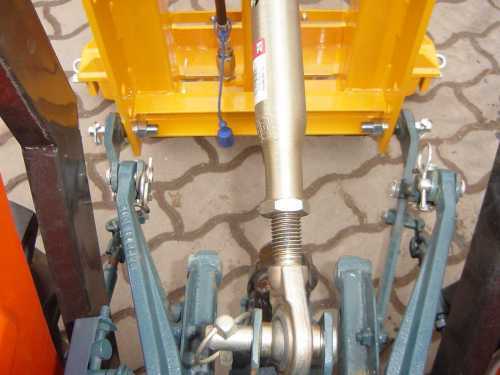 By default, a set of hoses with quick connect couplings is included, but no control valve. 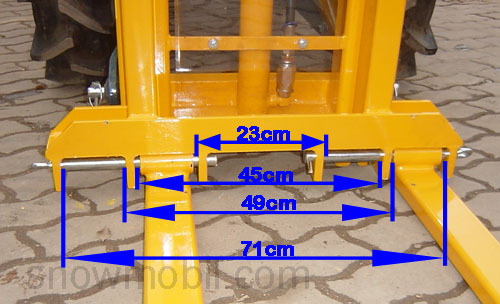 The inclination cylinder is also included. The inclination angle is 12 ° max. 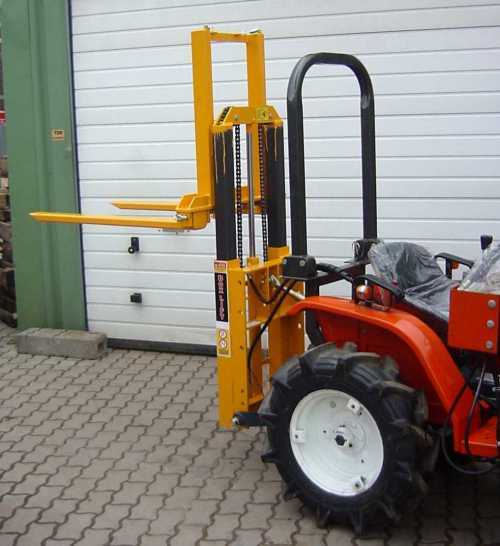 The pallet forks have a length of 100 cm and are adjustable 2x in width.